(TibetanReview.net, May01, 2016) – Despite reports of excess capacity, China has begun building its first hydropower station in Tibet Autonomous Region (TAR) with an installed capacity of more than one million kilowatts, the Suwalong hydro power project. It is located on the upper reaches of the Jinsha River, the headwaters of the Yangtze River. It will be able to generate about 5,400 gigawatt hours of electricity a year when completed in 2021, reported China’s official Xinhua news agency Apr 29. The project is expected to cost about US$2.77 billion and will include a 112-metre-high dam that will impound the Jinsha River to form a 674-million cubic meter reservoir, said hydroworld.com Apr 29. 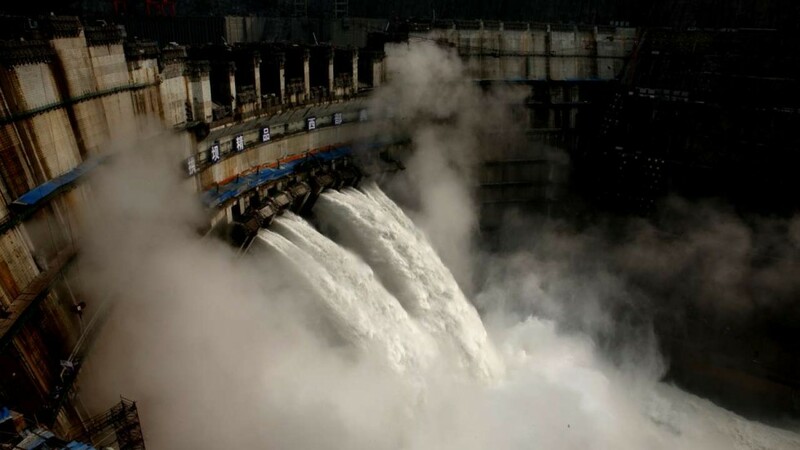 It cited official as saying the Yangtze River will be dammed by the end of 2017 and the powerhouse will include four 300-MW mixed-flow generators. The construction of the Suwalong hydropower station is also very significant for the construction of the West-East electricity transmission project, helping to push forward “transferring Tibet’s electricity out” as well as the socio-economic development in the local area, reported China’s online Tibet news service eng.tibet.cn Apr 29. The project, the largest in the TAR thus far, is located in the traditional Tibetan province of Kham, at the junction of Mangkam County in Tibet Autonomous Region (TAR) and Batang County in Sichuan Province. It will supply electricity to the economically well-off regions of eastern China, the Xinhua report said. Its design capacity of 1.2 gigawatts is more than double that of the Zangmu hydropower plant, the TAR’s largest existing hydro project, which was completed in Oct 2015 on the Yarlung Tsangpo river. It is hoped that the 18 billion yuan Suwalong dam, could pave the way for other projects in the headwaters of the adjacent Nu (Salween) and Lancang (Mekong) rivers to “fuel development” of hydro power in Tibet, reported the official website Tibet.cn. The dam is being built by the China Huadian Corp at a time when the weak grid infrastructure and falling demand for electricity had left many hydropower stations lying idle in the mountainous southwest region, noted scmp.com Apr 30. The report also noted that more that 20,000 GWh of hydro electricity were not used in Sichuan and Yunnan provinces, which neighbour TAR, in 2014. It cited energy experts as estimating that enough water to generate 40,000 GWh was simply allowed to run through turbines in the region last year.